The application process to both the Universities of Oxford and Cambridge is exceptionally competitive. Our specialist Oxbridge experts will demystify the procedure and break it down, helping potential candidates see that the most – and only, some would argue – important element of an Oxbridge application is a genuine interest in their chosen subject. It is likely that their chosen course at Oxford or Cambridge will be the same, if not similar, to those that they are applying for elsewhere. However, most applicants apply to a particular college where they will live, eat and study for the duration of their degree. 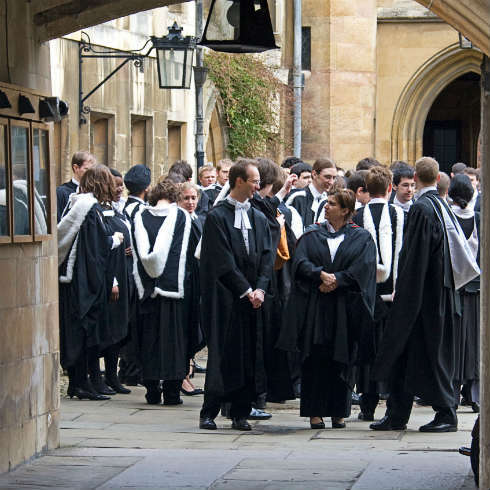 Choosing a college should be fun, but with more than 70 colleges between Oxford and Cambridge, it is no wonder that many are flummoxed by where to apply. Our Oxbridge experts are usually alumni of one of the universities, or even both; they will readily share their insights on different colleges to give applicants an alternative perspective. Most applicants will be asked to sit an Aptitude Test in early November, although this varies between colleges and courses. These written entrance examinations, introduced in order to allow brilliant candidates to shine, are carefully designed to test academic and intellectual potential rather than what has been taught at school. Our subject specialists understand what Admissions Tutors are looking for; we offer structured Aptitude Test Preparation tuition which allows applicants to familiarise themselves with the papers whilst getting feedback from experts on how to stand out. For those who pass the Aptitude Test, the next stage in an application to Oxford or Cambridge is an interview. Usually held in early December, interviews are probably the most distinctive element of the process. Our experts can explain what interviewers are really interested in and support candidates in preparing effectively. Mock interviews are an extremely valuable way for applicants to gain insight into the process and push themselves out of their comfort zone; we find that doing this with an unfamiliar subject specialist, rather than a teacher at school, makes the experience far more realistic.